Midnight Juggernauts, already darlings of French electro lords Justice, endeared themselves to several more French last night with a simple, clean set at the Bataclan, in the opening act of a global tour. 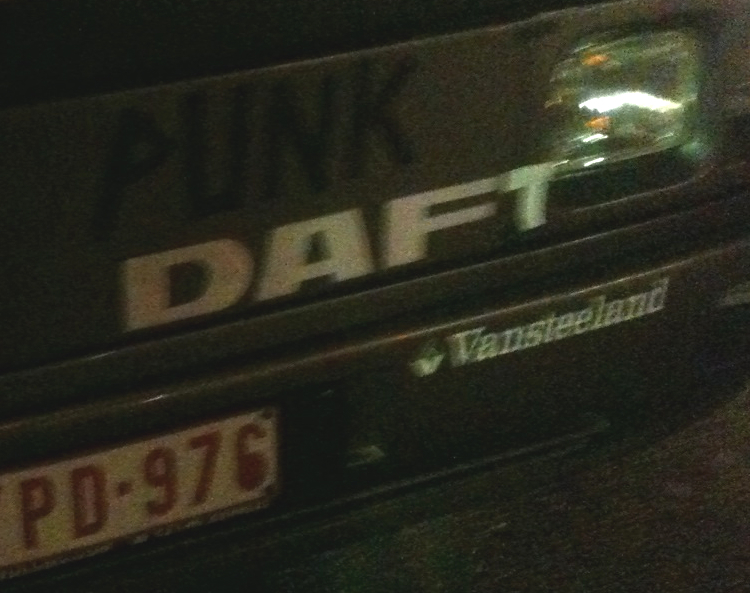 When I saw them 5 years ago in Melbourne, their DJ-set aced a full house at a Brunswick St club. On Wednesday, the medium-sized Bataclan was not overpacked, but so what? It ain’t always the size of the crowd on the night, it’s the size of the night for the crowd. “We need some energy,” the group’s Vincent Vendetta implored. It was there, I swear, though just maybe not how he was used to seeing it. Already 20 minutes into the set, “noddage” was at a solid 60%; in demure France, noddage (of heads) is as much an indicator of having an agreeable time as being in agreement. Encouraged along by some confident, but not overbearing showmanship, noddage soon gave way to pointage. With their fingers in the air, the crowd was in the Juggernauts’ hands. Vendetta now stepped out from behind the keys to meet his partner Andrew Szekeres in the centre of stage. Procuring drumsticks from a hidden stockpile (the group chewed through them like toothpicks), the two delivered a nifty percussive break. Vendetta then tossed a drumstick into the crowd as if was incriminating evidence. It was such an abrupt and flat throw that the audience member whose eye it poked almost certainly hadn’t seen it coming. At any rate, he probably now won’t see much more coming for a couple of days. Everyone else, though, was able to appreciate the visual appeal of their set design. This comprised 50 euros worth of black and white feather boas, bought at the costume shop up the road. There was no disguising the French appreciation of this touch, with many boas slipping away into eager hands while the band was off stage awaiting encore. Seeing electronic artists live can often be hit and miss. For the Juggernauts last night, it was only hit after hit. This entry was posted on October 14, 2010 at 9:07 pm and is filed under Uncategorized. You can follow any responses to this entry through the RSS 2.0 feed. You can leave a response, or trackback from your own site.